Alan Syliboy was born and raised in Truro, Nova Scotia. Living in the Millbrook First Nations community, he journeys through his life with a demeanor of strength. Alan has built an ever growing list of accomplishments throughout his lifetime, although many people are most familiar with his beautiful and unique works of art that captivate and inspire us.After decades of creation in many places, painter, illustrator, film animator and musician Alan Syliboy presents his new project : Alan Syliboy and the ThunderMakers, involving a large group of musicians from many horizons. 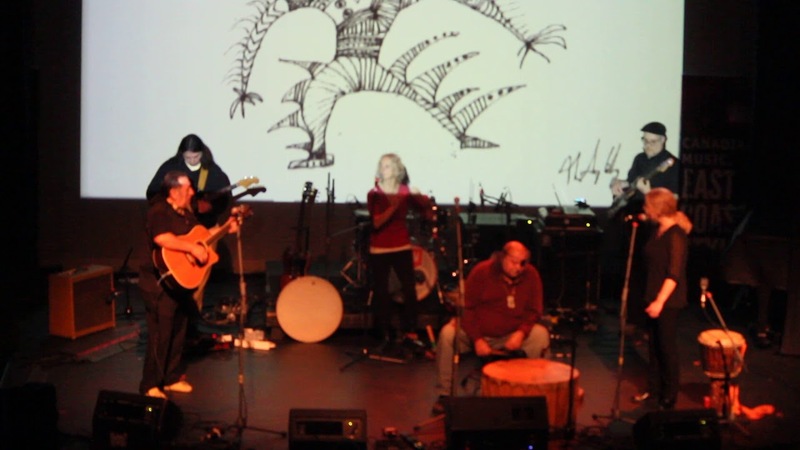 Their show consists of songs and stories accompanied by multi-media art film and live performance.